Born in London to Albanian parents, Dua Lipa began her music career posting videos of herself performing on YouTube. 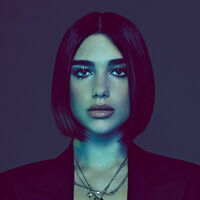 Unlike so many others who try to start the same way, Lipa's talent was noticed and she signed a recording deal with Warner Bros., releasing her debut single 'New Love' with the second, 'Be the One', following shortly after. 'Be the One' did extremely well in the charts, reaching number one in several European countries and number nine in the UK. She went on tour in 2016 to promote her music and was named one of the BBC's Sounds of 2016. Singles 'Last Dance' and 'Hotter Than Hell' were released in 2016 with the latter reaching number 15 in the UK. She collaborated with Sean Paul on the single 'No Lie' and later with Martin Garrix on 'Scared to Be Lonely'. In 2017 she released her debut self-titled album.